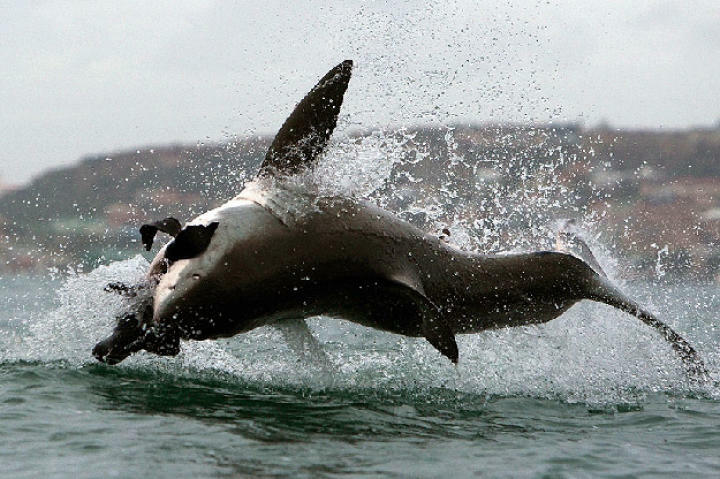 A great white shark rejects a seal decoy during filming of "Ultimate Air Jaws" at Seal Island off the coast of South Africa. 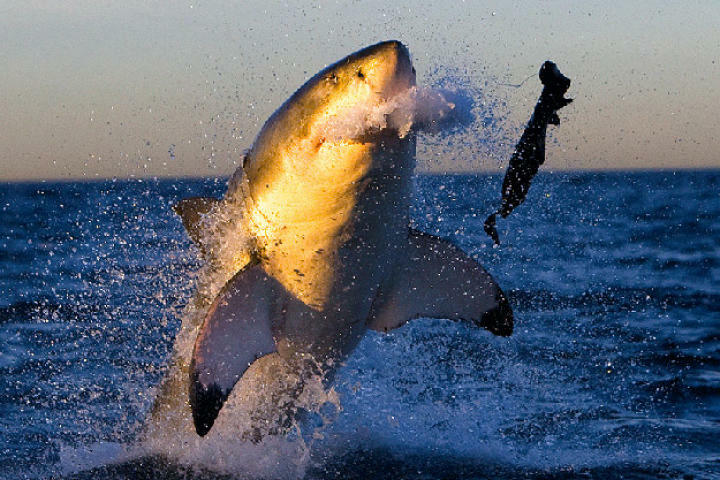 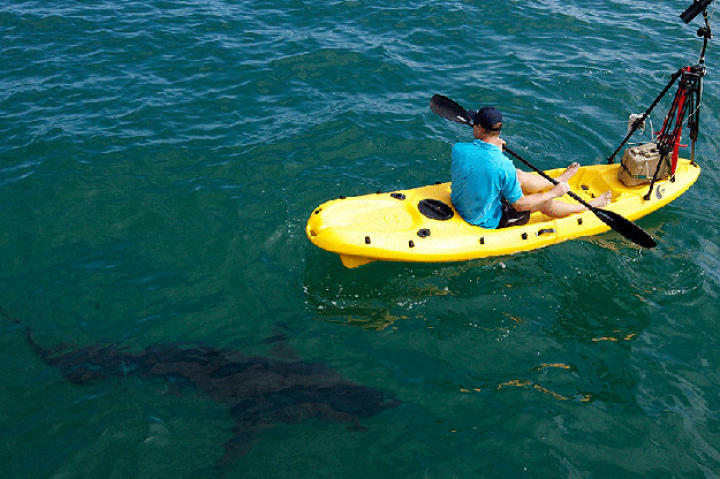 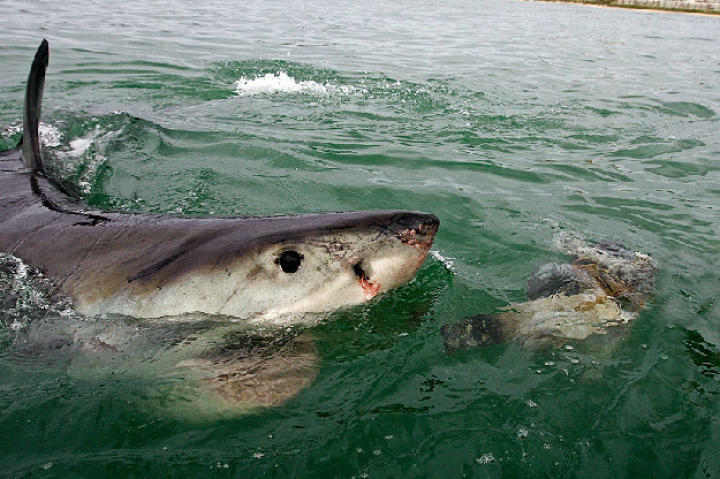 Great whites are very picky eaters. 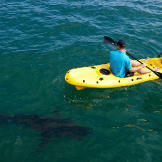 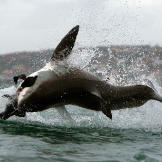 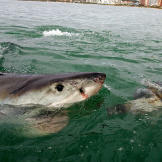 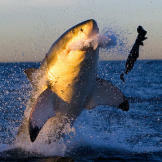 3 A juvenile great white takes the bait in Mossel Bay, South Africa.